Today marks the official 80th birthday for Nissan Motor Corporation. To celebrate the event, Nissan released this video in which we see glimpses of the automaker's 80-year history. Electric vehicles enter the video at the 2:30-minute mark. And you'll even catch a glimpse or two of some of Nissan's latest electric concepts like the BladeGlider. 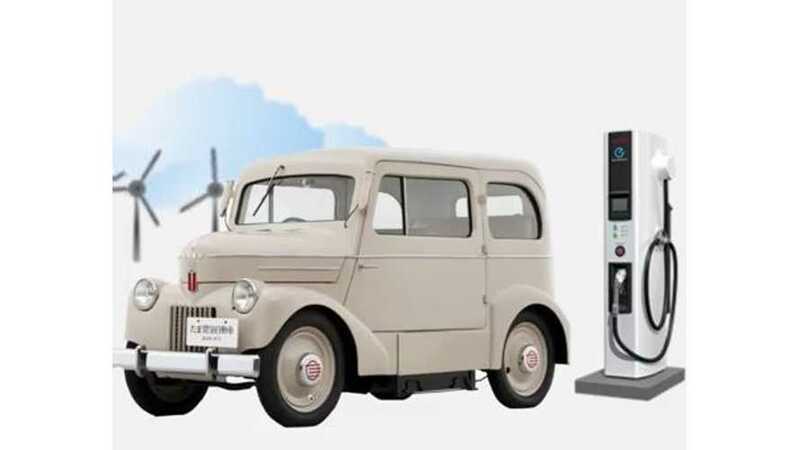 What's the oldest electric vehicle linked to Nissan? The 1947 Tama EV, which makes no appearance only a brief appearance at the 0:42 mark in this video. On December 23, Nissan held an early birthday celebration in Yokohama, Japan where it wheeled out 100 Nissans and Datsuns to parade through the city. This video is a continuation of that celebration.